Spend $75+ and Get a Free Votive. 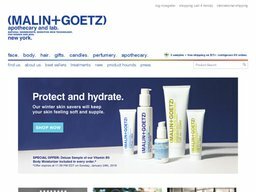 Shop Malin+Goetz&apos;s New Recovery Oil Treatment and Receive Free Shipping. Receive Free Shipping at Malin+Goetz. New Velvetier Scent and Receive Free Shipping with Orders of $75+.